Warner Bros. and Mama director Andy Muschietti have finally zeroed in on an actor to step into the garish, oversized shoes of Pennywise the Clown. 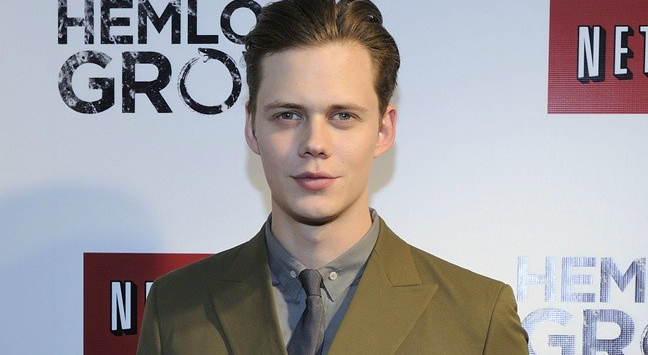 That’s Bill Skarsgard, star of Hemlock Grove and Allegiant, who today sealed a deal to headline the upcoming adaptation of Stephen King’s It as the iconic, nightmarish villain. In the works over at New Line, news of Skarsgard’s casting hails from The Hollywood Reporter, revealing that the actor has entered final negotiations of the landmark deal, potentially joining an ensemble that includes Jaeden Lieberher of St. Vincent fame, Finn Wolfhard, Jack Dylan Grazer, Wyatt Oleff, Chosen Jacobs and Jeremy Ray Taylor. Hopping between one time period and the next, Warner Bros.’ long-gestating adaptation of King’s thriller will be told across two arcs, with the first unfolding during the formative years of the Losers Club, as a group of teens fend of the titular monster. Years later, the hellish creature returns to town and the band of Losers, now all grown up with little recollection of the horrific event, must pull together to ward off Skarsgard’s embodiment of evil once more. New Line is aligning the first installment to focus on the children’s arc in 2017, before unleashing the follow-up movie soon thereafter. Dan Lin, Roy Lee, Seth Grahame-Smith and David Katzenberg are among the team of producers overseeing production. It will unleash Bill Skarsgard on the moviegoing masses on September 8, 2017. Elsewhere on the Skarsgard family tree, Alexander will be headlining The Legend of Tarzan on July 1.